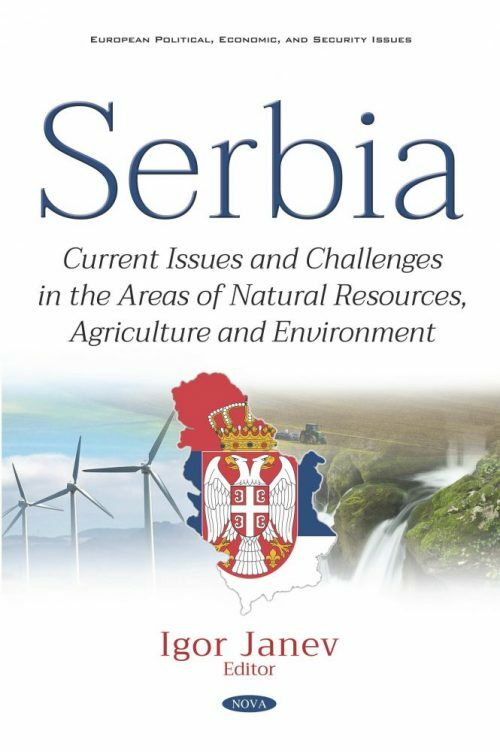 This book presents a comprehensive overview of the current, most critical challenges and issues facing Serbia, on its road towards integration in the European Union. The chapters in the book are written by highly renowned authorities in their respective research fields including prominent scholars, academics, and researchers. • Environmental pollution by heavy metals and radionuclides in certain localities in Serbia. The book provides a representative account of the most important, current challenges and issues of Serbia in the considered areas. It can serve as an authoritative source of information on the covered topics for the general public, as well as for specialists in different fields, interested in having a deeper insight into these topics. Keywords: mineral resources, biofuels, sustainable agriculture and rural development, innovative agriculture production technologies, environment, pollution control.